Mysuru: Real estate sector is growing and so are the scams and frauds associated with it. People now-a-days are more informed but ironically are still susceptible to scams. Real estate scams run the entire gamut — from legal frauds and fly-by-night operators to false promises and untenable buy-one-get-something-free offers. Of late, there is another fraud where vacant sites and unoccupied houses are being targeted by land-grabbers, squatters and anti-social elements who will ultimately claim your land as their own and force you to cough up money to vacate your own land. Criminal networks identify empty properties by using names on the published obituaries and carrying out research on the land registers. They subtly survey the areas to identify sites that have been literally abandoned by the actual owners. Identification is simple if there is wild growth in the land that is amidst a group of houses. Once a suitable property is discovered, the criminal group then organise fake documentation, sometimes in connivance with the official machinery. The group tirelessly work through legal hurdles while the innocent property owner has no idea that a crime has taken place. Even without documentation, the vacant sites are occupied and sheds are erected and criminals are so perfect in their jobs that they even erect “No Trespassing” sign board on the land while they themselves are the actual trespassers. When the actual owner comes to his land, he is threatened and asked for a share in the property or asked to part with money to get his land vacated. 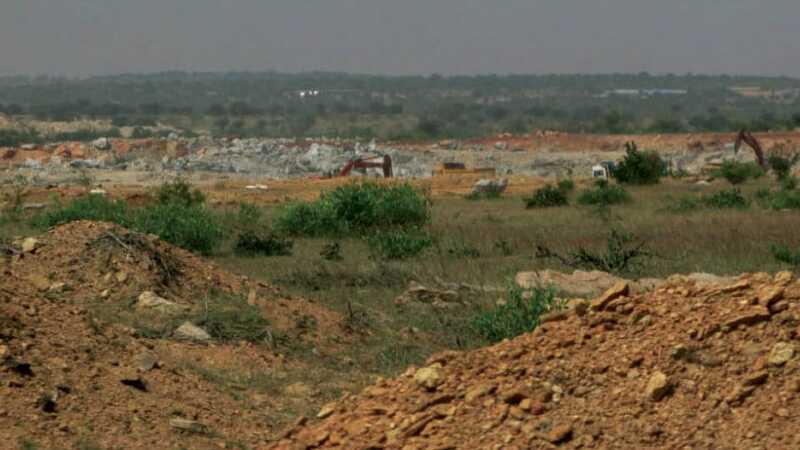 The modus operandi of the criminals is so well planned that the actual site owners finally end up paying lakhs of rupees for squatters to clear the land. Even when houses are being built on the land, these criminals approach the land owner and tell the owner that he is building his house in a land that is owned by them (criminals). They even produce property documents to support their claims and with their knack of convincing and veiled threatening, the documents possessed by the actual land owners are declared fake. Once the haggling starts, another group (extended members of the criminal gang) intervenes and convinces the owner to pay money to get the land vacated. These criminals convince the land owners not to go to the Police Stations or Courts as the case may take years to get resolved. Instead, they are brought to the negotiation table where the deal is struck. Shockingly, the land owners are asked to pay “percentage” to get his land vacated. Such percentage depends on the value of the house site and the area where the land is located. If the value of a site for instance in a particular area is Rs.1 crore, the actual land owner is asked to cough up 15 to 20 percent (Rs.15 to 20 lakh) as the “charges” to get the land vacated. Typically, the land-grabbers target such lands where the owners are absent for a long time or living abroad. Elderly people do not live in their properties for reasons such as long-term hospital or residential care. Such properties become easy target for scamsters. Surprisingly, the educated who know the law well fall prey to the criminal gangs. Some people who have close contact with the Police and the influential wriggle out of this scam using their clout. But most people become victims as they dither to approach the Police or Court of law as they believe that it will take years for the case to be adjudicated. Not only people who have used their hard-earned money to purchase sites are becoming victims of such scams but also land beneficiaries of various Government schemes are being cheated by criminals.